Michigan residents looking at their power bills may not know that they are paying among the highest rates for electricity in the United States. According to May 2018 data from the U.S. Energy Information Administration, the average price for residential electricity in Michigan is the 11th highest in the U.S. (15.93 cents per kilowatt). Compare that to residents of Kentucky, who are paying an average of 10.66 cents per kilowatt, and those in Michigan are paying over 50 percent more to power their homes. Wouldn’t it be great to pay yourself instead of the power company to power your home? The timing may be perfect, then, for you to consider powering your home with solar energy with help from POWERHOME Solar. Getting solar panels installed on the roof of your home or via a ground-mounted unit will help offset the cost of what you pay the power company, allowing you to own your power and not just continually rent it from the power company. Excess energy produced by your panels is sent back to the grid, giving you credits on your utility bill. Going solar allows you to lock in a monthly cost of your solar system while shielding yourself against inevitable rate increases that your power company will impose. Your savings become even greater once you pay off the system. Worried that there’s not enough sunlight in Michigan to power your home? Don’t be. According to the International Energy Agency, Germany was the world’s per capita leader in solar energy in 2016, yet it is far less sunny than Michigan. So if it works well in Germany, it will work well in the Wolverine State. 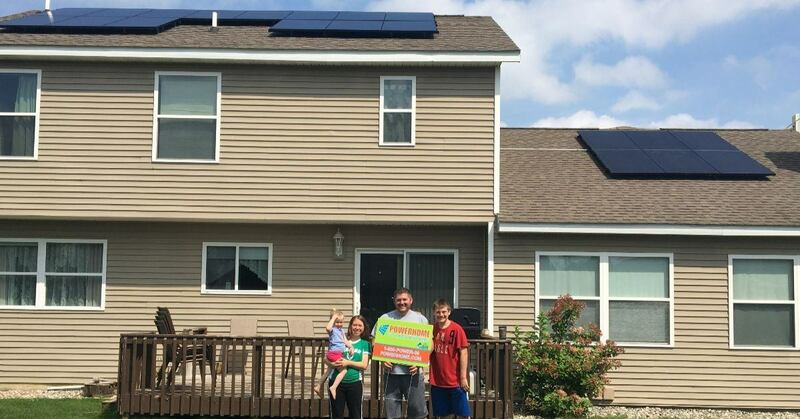 With our innovative solar program, homeowners can go solar for $0 up-front cost, save money on their electric bills, and generate their own clean energy. The solar panels installed on your home are American-made and come with a 25-year warranty, with many panels expected to last well beyond that. Please feel free to fill out the form below or contact POWERHOME Solar at 800-765-2715, and one of our solar representatives will help you determine whether your home qualifies for this program.